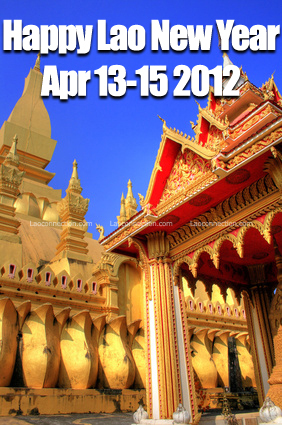 Laoconnection.com: Happy Lao New Year 2555! Sabaidee Bpee My! Happy Lao New Year 2555! This new year our website is being reborn into a new blog site. With that in mind, let this new year be your year to change things up in a positive way in your own life. Let this be a year of new and positive beginnings for you. From us at Laoconnection.com we want to wish you a great New Year!